EastEnders spoilers indicate that it will only be a matter of time before Walford is rocked by another murder mystery. That’s because there’s a very good chance that Hunter Owen already has plans to claim another life before he leaves town. Here’s what you need to know. According to reports, Hunter is a loose cannon that can strike at any moment. EastEnders were shocked when he managed to gun down his stepfather Ray and now everyone believes that he might have another target in mind. But here’s what everyone can’t help but wonder: who will be Hunter’s next victim? After all, it can be anyone in Walford. There’s a very good chance that Hunter might seek revenge on troublesome teen, Keanu Reeves. When Keanu invited Hunter to Louise’s party, he was taken aback by his bizarre behavior and ended up punching him in the face. Little did he know that he was messing with the wrong person. Also, there’s a possibility that Hunter might take his anger out on Louise. They had a brief romance last year. Everyone remembers how he used her as a pawn to get back at Phil. If that weren’t enough, Jack Branning’s life might be on the line, too. If there is one person who is well aware of Hunter’s antics, it’s Jack. As everyone gets more and more suspicious about Ray’s disappearance, Jack will question Hunter, who he thinks has been acting very strange lately. 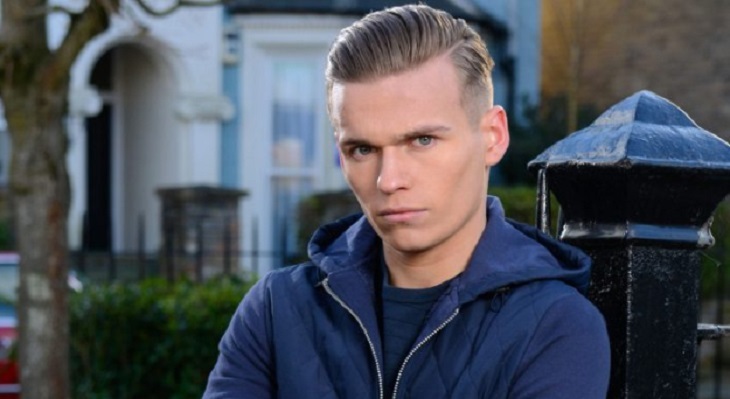 EastEnders Spoilers – Who Is Next? Of course, fans will have to tune in to find out what happens next. Eastenders airs weeknights on the BBC and is available on Britbox in the U.S. Check your local listings for times. In the meantime, drop us a line with your thoughts in our comments section below. And as always, don’t forget to check back with Soap Opera Spy for all the latest news, updates and spoilers on Eastenders and all of your favorite British soaps right here! General Hospital Spoilers: Anna’s Shocking Surprise – Is It Her Twin Alex?